Robert is a 2001 graduate of Prattville High School and a 2006 graduate of the University of Alabama at Birmingham with a Bachelor of Science in Public Relations with a minor in Marketing. He was a member of the Alabama Air National Guard from 04 February 2001 to 03 February 2007 and deployed during Operation Iraqi Freedom. Robert is married to Jessica Moore of Montgomery. They have a daughter, Aria, and 2 shelties (4-legged children), Belle and Ella. 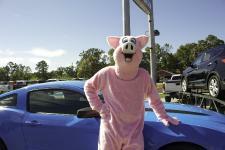 Robert is the General Manager at Pigg Enterprises. 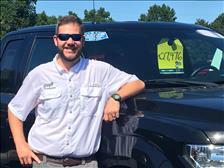 Wes is a 2004 Graduate of Prattville High School and a 2006 graduate of Trenholm Technical College with a certificate in Automotive Mechanics. Wes is married to Danielle Dejean of Prattville. They have a son named Everett and a full blooded mutt named Sadie. Wes is the Retail Sales Manager. He ensures that all of our shoppers get quality customer service and an enjoyable shopping experience. 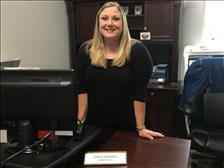 Leslie Simmons is a 1998 graduate from Stanhope Elmore and a 2004 graduate from Faulkner University where she obtained a Bachelor of Science in Business Administration. She is originally from Millbrook, AL but lives in Prattville and is married to Ty Simmons of Prattville. They have 2 children. Leslie is the Executive Assistant. She manages the office, does all of the bookkeeping, handles sales paperwork, processes the hundreds of titles and any other administrative needs, but her biggest task is she keeps us all in line. =) She was our first hire outside of family but we have adopted her and her family as a part of our own. Pat Holena is a native of Wilkes-Barre, Pennsylvania. 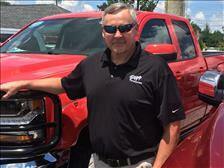 He came to Prattville in 2004 with the U.S. Air Force and retired in December 2011 as a Senior Master Sergeant (E-8). While serving in the Air Force Pat worked in the medical field as an ophthalmic technician and squadron superintendent. He completed combat deployment to Iraq in support of Operation New Dawn and deployed seven times on humanitarian missions to South and Central America, The Caribbean, and Alaska. He holds an Associated Degree from the Community College of the Air Force and a Bachelor of Science in American and Latin American History from Troy University. Pat is married to Alisha Mann Kelly of Alexander City. In his spare time he enjoys the outdoors. In his position in Finance and Insurance he is ready to help you with your financing needs! JD is a native of Phenix City, Alabama and retired from the U.S. Air Force as a Chief Master Sergeant (E-9) in 2007. While in the Air Force, JD worked in Aircraft Maintenance as a Crew Chief, Flight Chief, and Production Superintendent. He also served as a Professional Military Education Instructor at the Air Force Senior NCO Academy. He was involved in the Air Force Inspector General program as both a complaint investigator and command inspector. He holds two Associates of Science Degrees from the Community College of the Air Force. 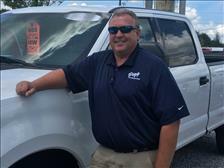 JD has an extensive background in automotive maintenance and oversees the overall reconditioning operation ensuring only the highest quality cars are offered for sale at Pigg Enterprises. 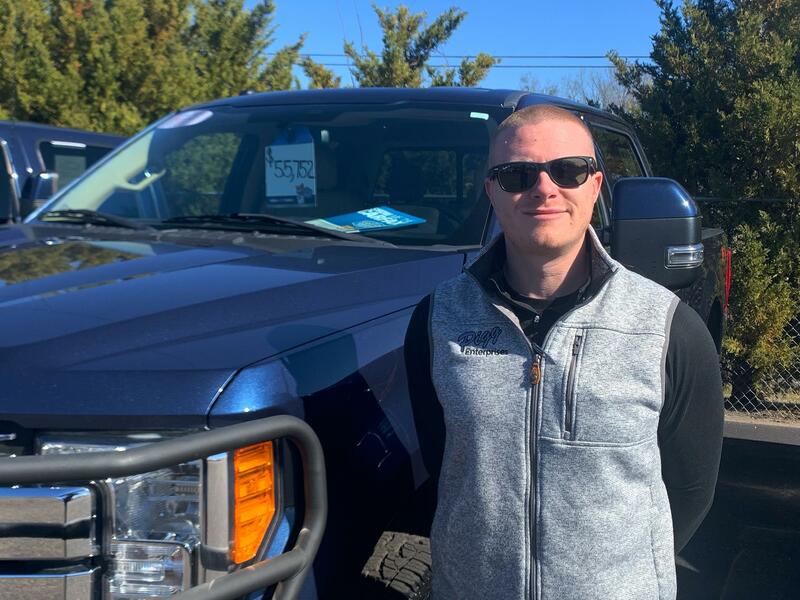 Jerrod is a 2018 graduate of Auburn University at Montgomery with a bachelors of science in business administration with a concentration in marketing as well as a 2010 graduate of Killingly High School in Killingly, Ct. He was born in Panama City, Florida and raised in north eastern Connecticut. In his free time Jerrod enjoys college football, hunting and fishing. Arsenio Wilson was born and raised in Camden, Alabama. He is a graduate of Wilcox Central High School and a 2013 graduate of Alabama Southern Community College, earning an Associate of Arts degree. Prior to joining the Pigg Enterprises team in 2015, Arsenio was in the banking industry. He worked at The Camden National Bank for 10 years and worked in every department of the bank making Consumer Lending his last primary job, giving him much experience in customer relations and service. When not working, Arsenio enjoys spending time with his family and Alabama football (Although he will sell a vehicle to an Auburn fan, too.) 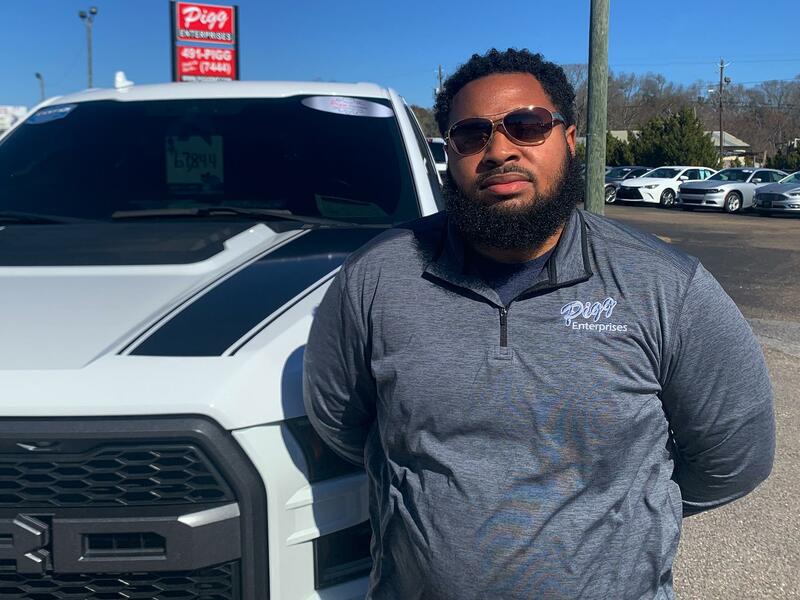 After many years of a great relationship with Pigg Enterprises, Arsenio started his new career as a salesman seeking to give customers the best deal and customer service available. 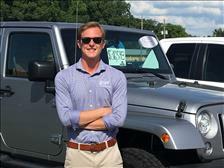 Joel is a 2015 graduate of Auburn University Montgomery with a Bachelor of Science in Business Administration with a concentration in Marketing and a 2010 graduate of Edgewood Academy. Joel lives in Millbrook and enjoys college football and basketball. Joel is the Internet Sales Manager at Pigg Enterprises. In addition to that duty he assists in marketing and advertising strategies/ campaigns. Born and raised in Montgomery, AL, Jordan Anderson attended Troy University and has a background in marketing, sales, journalism and media production. Jordan lives in Montgomery with his wife, Whitney, two kids, Cassidy and Brooks, and their German shepherd, Shug. 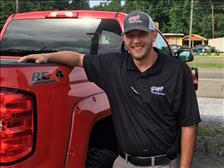 When he's not at Pigg Enterprises helping customers get the best deals and customer service in the industry, Jordan enjoys spending time with his family and friends, serving at his church, hunting, fishing, SEC football and Atlanta Braves baseball. 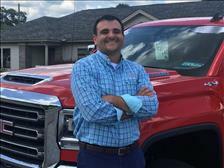 Trevor Stange is a 2007 graduate of Prattville High School and a 2009 graduate of Nashville Auto Diesel College with a degree in Automotive & Diesel Technology. Trevor assists in ensuring all vehicles are up to our high mechanical and cosmetic standards. He and his wife have two sons together as well as a Labrador Retriever named Morgan. Trevor is also the head coach of his son's youth league baseball team. Squealer is the famous pig known for misbehaving and always finding a way to avoid work. He's also got some pretty good dance moves. You can catch him in our commercials. 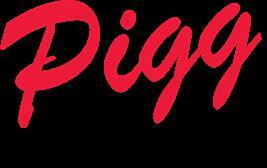 Just search "Pigg Enterprises" in the YouTube search bar and check him out! !